If you like this free game, try Off-Road Super Racing. 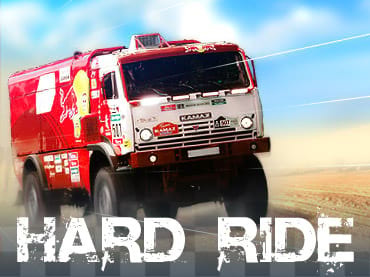 Hard Ride is dynamic game will charge you with adrenaline. Hearing the whistle of the oncoming wind, feeling the overload on steep turns, looking into the deep of the abyss, which watching you around the corner. Nobody of your opponents likes to loose. Thus the opponents will act pretty tough. A realistic 3d graphics gives you more vivid feelings of the game. Prove to everyone that nobody can't leave you behind. Your position is number 1 and there is no place for the compromises! If you have questions about Hard Ride game, please contact us using this form.